By the end of a new documentary on children’s TV pioneer Fred Rogers, Alison Van Ginkel isn’t sure the film resolves the paradox it creates about the man who was Mister Rogers. What it does reveal to her is a man wholly suffused by faith, hope and love. I’ve never seen a full episode of Mister Rogers’ Neighborhood. I think, but am not certain, that it was still on TV when I was a kid in the early ‘90s. It must have been - I can remember little snippets: the theme song, the cardigan, the puppets. Likely I landed on it accidentally a few times during Captain Planet commercials. Or maybe what I’m remembering is just a parody of the show, seen later in life, when being known primarily as “nice” was decidedly uncool. When the show, and its opening sequence in particular, had already become so easy for sketch comedians to make fun of, so easy to reduce to an antiquated, sentimentalized archetype of a “simpler” time. That’s your cue, Won’t You Be My Neighbor?, Morgan Neville’s new documentary about the life of Fred Rogers. An opportunity for a modern audience to go deeper and to dispel these stereotypes. There had to be more to Rogers than his pedigree as a really excellent neighbor. They wouldn’t have bothered to make a movie about him otherwise, right? This would be a film to un-simplify a perceptibly simple man, to go beyond all the show's cheesy bits about love and kindness. How did Fred Rogers act when the cameras weren’t rolling? Who really was he, messy complexities and all? I went into the viewing of this film thinking that, in the context of creating meaningful and challenging art and media, kindness and gentleness and love are just not enough. 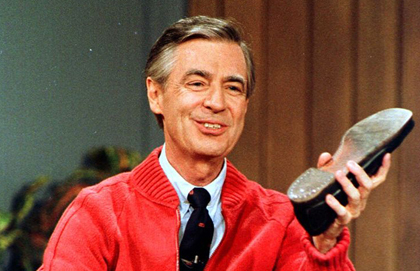 Fred Rogers knew — inherently, and as an outgrowth of his deep religious faith — that they are. It was his belief in the importance of love and community that formed a cornerstone of Rogers’ dedication to working in the field of child development. When television came on the scene in a big way in the ’60s, he knew this form of mass media was a chance to speak to the hearts and minds of children directly, in an approach respectful of their immense capacity to learn and understand. He viewed TV as a tool that could be used for good, but even at the outset of this crazy new experiment, his passion was for the message, not the medium. The trick to speaking to children, it turns out, is not to trick them. The relatively early success of Mister Rogers' Neighborhood after it first hit the airwaves in 1968, was largely due to Rogers’ ability to authentically remember what it’s like to be six years old. Not just the activities and people you love and fear at six, but the why and how behind those emotions, and the processes and tools for working through them. Not many adults can do that. Or want to try. Instead, we often undermine and generalize our own experiences as children because to do otherwise would be like admitting we’ve grown up backwards — each passing year marking the loss of some innate wisdom. It was his belief in the importance of love and community that formed a cornerstone of Rogers’ dedication to working in the field of child development. One of the ways Rogers was able to connect to his own inner child was through dialoguing with him in the form of a shy, scruffy lion puppet named Daniel. Daniel was a prominent character in “Make-Believe,” the segment of Mister Rogers’ Neighborhood that took a deliberate turn towards the imaginary. Notably, beginning in the third season, Mister Rogers himself never showed up in Make-Believe, out of respect for the boundaries between reality (the known, the familiar) and imagination (the unknown, the strange). As the show progressed, Daniel (voiced by Rogers, as all the show’s puppets were) became the voice of Rogers’ inner doubts and fears and insecurities. The types of feelings that adults can often think we all should have “grown” out of by now. But kids experience those feelings in a deep and visceral way. Everything is new and strange and curious — the world can be a beautiful but also a dark shadowy place. As the “grown-ups,” shouldn’t we have a well-tread path in place, to help them navigate it? Perhaps, and what Rogers seemed to grasp, is that it’s not about telling children which path to follow, but about taking their hand and walking the twists and turns with them, just letting them know they’re not alone or weird or unlovable. When Bobby Kennedy was assassinated (Mister Rogers' Neighborhood had been on air only 4 months), one of the puppet characters asks tentatively in Make-Believe, “What is assassination?” and a conversation, more so than a definition, is offered in response. The show would go on to devote whole weeks to exploring complicated issues like death and divorce. Throughout the film, we are offered other clues as to how Fred Rogers became Mister Rogers. 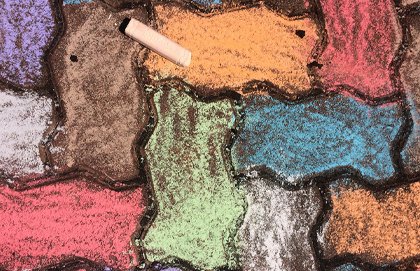 Is it any surprise that those clues lay scattered throughout a lonely childhood? Rogers grew up in a house where feelings were not discussed. He suffered from illnesses that kept him isolated. His outlet became creative expression, particularly in the form of music. He found that pounding piano keys was an affirming echo and release of his internal feelings of anger and frustration. What’s interesting is that as he matured, Rogers did not continue to retreat wholly from the world to seek solace via his own creative recesses, as many artistic solitary types do. Instead he came to understand that art and music and imagination on their own are helpful tools, but only part of the puzzle of being human. He wanted kids to know that feelings are mentionable and manageable. Anxiety and doubt and anger are okay. A lot of his techniques for understanding children’s emotions could just as easily be applied to adult therapy. In the film, we’re treated to one segment from the show that struck me as particularly foreign. Rogers literally sets an egg timer for a minute, just to understand how long a minute really feels like. He sits there, in his comfortable slacks, and the timer ticks by. Silence was Rogers’ supreme delight. We talk a lot about meditation and reflection, but it’s an effort to carve out silent time to actually do it. And it’s almost impossible to imagine a mainstream entertainment program helping us to block out noise instead of adding to the din. Sometimes, it was about showing, not dialoguing. One summer when the news was full of African Americans being harassed and kicked out of swimming pools, Mister Rogers’ Neighborhood aired a segment in which Rogers, casually wading in an inflatable pool on set, is joined by Officer Clemmons, the friendly neighborhood policeman and frequent guest on the show. Clemmons (played by François Clemmons) was black. Rogers offers to wash his feet for him. How simple. How radical. How Jesus. But, how, Jesus? We’re not in Make-Believe. We’re not slipping into more comfortable shoes in a familiar living room. Our shoes don’t fit right and there’s disorder and distress everywhere you look, up and down every street in the neighbourhood. There’s a scene in the movie where Daniel is expressing his biggest fear to Lady Aberlin (played by Betty Aberlin), one of the adult characters in “Make-Believe.” Daniel says that sometimes he feels all wrong, like he is a mistake. It slowly turns into a song, Daniel giving voice and melody to this deep ache inside his scraggly little lion body. And then, Lady Aberlin starts singing back to him. She gently counters Daniel’s fears, reassuring him that he is loved, and precious. Here is when we might expect Daniel to stop singing, to allow the voice of the wise adult to take over and become the dominant narrative, everything messy now tidily fixed and ready to tuck away. But instead Daniel continues to sing his song of fear. It’s become a duet - the anxious voice and the soothing one mingling together in harmony. It’s not easy to love yourself, after all. The first step is vulnerability, and then, who knows? Maybe love is contagious. In Won’t You Be My Neighbor?, we meet the paradox of Fred Rogers, a man who yearned to articulate the immense depth within a simple kindness or act of courage. The film ultimately appears undecided on whether he was able to achieve his goals within his lifetime, as the neighbourhood around him seemed to evolve increasingly into an inhospitable one. After 9/11, just 18 months before his death, he seemed at a loss for words when many turned to him for comfort. I think he was likely feeling like Daniel in that moment. I wonder if he sang his fear into a duet. I wonder if the soaring, hopeful refrains of God’s angel choir sang out to him in harmony. If this film was trying to express that there was more to this man and his works than kindness and love, I don’t know if it succeeded, but maybe I just got distracted. It turns out that the kindness and love bits can be deep and rich and complex enough to swallow you whole. Alison Van Ginkel works as a Sales and Rights Account Manager at Kids Can Press, a children’s book publisher based in Toronto.